Pancanal View is a unique treasure. 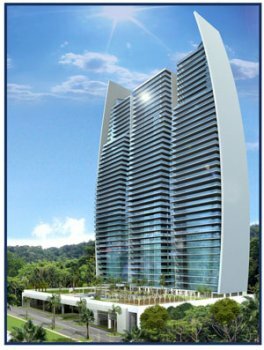 Three forty stories eco friendly towers with the most sophisticated state of the art security system.Imagine the privilege of waking up every morning with the eight wonder of the World at your feet. All living and dining areas have been meticulously designed with astonishing views of the Panama Canal and surrounded by a pristine and protected rainforest. The most complete recreational and social area of Panama consisting of a 85 foot lap pool, spa, massage room, tennis courts, two lane bowling, Jacuzzi, squash court, BBQ area, gazebos, gym, party room with bid screen TV, ping pong, pool tables, kids playground, mini golf, business center, jogging trails tracks and more. 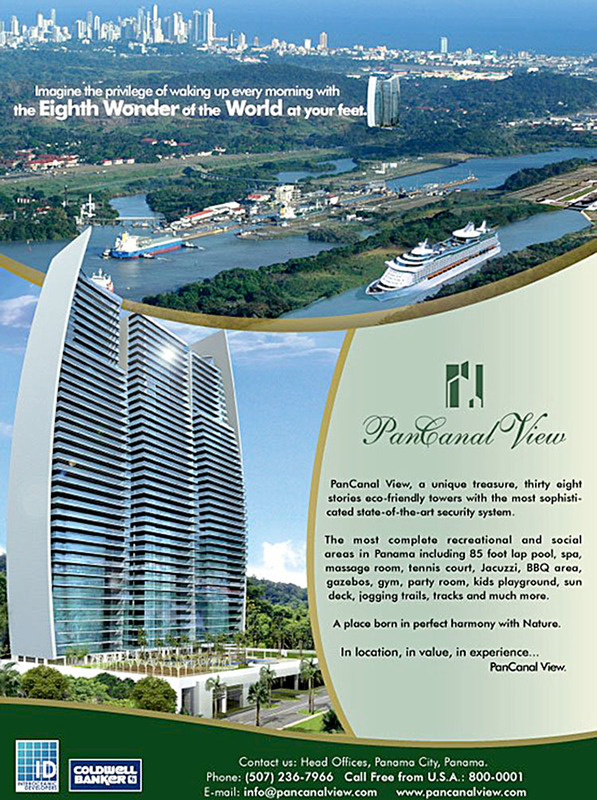 PanCanal view is located close to the new US embassy and adjacent to the city of knowledge home of UNICEF, World Food Program, Federation of Red Cross, Alas, UNDP, amongst others. Shopping, health care, movies, supermarkets restaurants and entertainment all within a 5 minutre drive. Come and witness history from your next home. Ud. puede solicitar más informacion visitando nuestra Página de Contácto en el sitio.